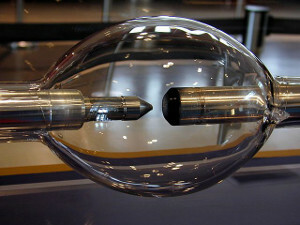 Plasma ion tweeters are an evolution of the “singing arc”, invented by William Duddells in the 1900. He basically reworked a carbon arc lamp – which were known for being fairly noisy. Now, William found that by varying the voltage to the arc, it changed the sound that was produced. Bingo! Much later a fellow by the name of Siegfried Klein got involved and tuned it by putting the arc in a small quartz tube. Coupling this to a horn, he was able to produce a speaker and even a microphone.I’m really not too sure if I’d want to tempt fate by putting my mouth too close to one of those things though. Tweeters made out of plasma arcs have a major advantage – they have no resonance or transient problems. Most audiophiles know that the lighter the material used in a speaker, the faster the response can be, and the better transients they produce. Well, plasma arcs have ZERO weight. The plasma speaker works by moving air via changing the temperature in its chamber. Prepare to be amazed. Here is an amazing video of an awesome DIY plasma speaker setup. At one point in the 1970’s, plasma speakers started being produced by a company called Magnat – they’re still in business, mainly producing car audio systems. Watching the plasma speakers is pretty interesting – they start as a deep purple, and at the edges of the arc you can see them change to a deep reddish pink in the center. When the music has a lot of high frequencies, you can see the colors change in intensity. Very cool. The main problem with these speakers is that they many need a continuous supply of ionizable gas, such as helium. The plasma has a by-product which we all know: Ozone, and if left in a closed room for long periods of time, it can reach hazardous levels! A company called Acapella is the only company that I can find that still makes plasma speakers, and they are expensive ($23,000+), but revered for their sound quality. Here’s another DIY plasma speaker at work. These sort of remind me of the Tesla coil speaker – once again, amazing. If you want to build a plasma arc speaker on your own, check out the Plasma Speaker tutorial. If you want to build your own “regular” speakers and save a ton of money, grab a copy of Designing, Building, and Testing Your Own Speaker System with Projects. so if we get hundreds of these and just shoot them up in a rocket to the atmosphere, we can have good music and help out the ozone? i had a chance too c these £23000 recently and they sound incredible. 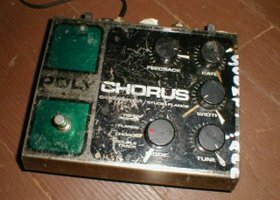 very low distortion, perfect timing and buckets of sound energy. people like b&w or focal don’t even come close. believe it or not they r actually very good value. The two videos here are very different types of plasma speakers. The first is a true plasma speaker. The plasma’s sound frequency is so high a human would never be capable of hearing it, and by modulating that frequency the plasma creates crystal clear tones of beauty. ALSO, they don’t need a continuous source of any special gasses to operate. Both videos are of the arcs operating in normal air. They produce small amounts of ozone because of this. Using INERT gasses allows them to create the sound without creating ozone. It’s highly recommended for enclosed spaces, but not required for them to operate. Damn those speaker designs are insane! Very cool find. It doesn’t just have plasma in its name. It has plasma, so it’s cool. The inventor and owner of Magnat in the 70’s had permanent lung damage from the effects of plasma ionization. Basically, the speakers killed him. This is awesome, but whats the sound quality? Of course it draws your attention, but will it please your ears? Oddly, these speakers sound just like my Klipsch computer speakers. Doh! Because ozone is poisonous, and when produced at sea-level it doesn’t rise up to reach the ozone layer, instead it becomes a greenhouse gas. Because, while ozone high in the atmosphere protects us from UV, ozone at ground level is toxic and causes respiratory problems. Pretty amazing. One question though, is this ‘Ozone’ by-product you speak of the same ozone layer surrounding the earth? A layer of gas which protects us from all sorts of nasty things, which at this point in time has a whacking great big whole in it? If so why aren’t we mass producing speaker systems like this, flooding the audio market with advanced sound clarity and pumping our atmosphere full of sweet sweet ozone? Yes, it is. Unfortunately, this close to sea level, ozone will break down into oxygen gas shortly after being formed by the plasma arc, so effectively does not add any excess ozone to the atmosphere. Very good thought though. P.S. 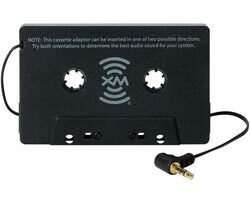 they still should mass-produce them so that we can all get extreme sound quality cheaply! 1) because the ozone is in the wrong place (the ozone layer is several hundreds of thousands of feet up) and 2) because of the cost. 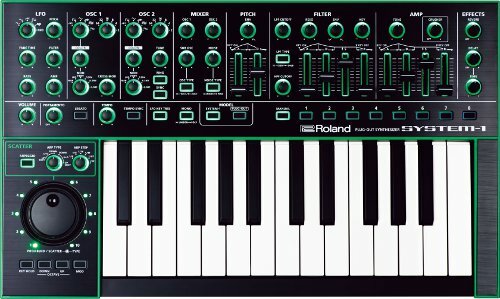 Next story We just launched a new synth blog!